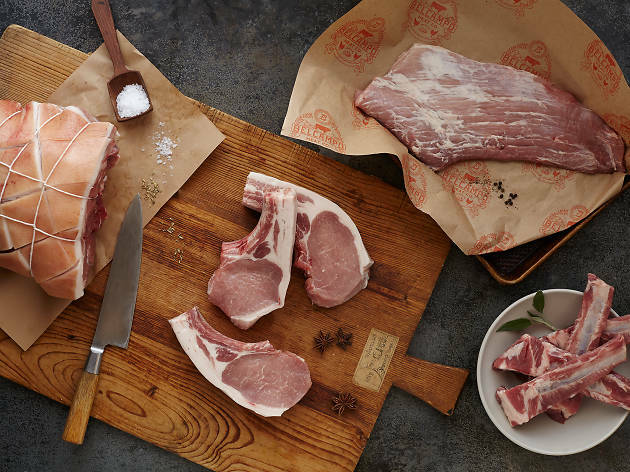 Here's the deal: High-quality, well-sourced meat—the kind you'll find at the top butcher shops in Los Angeles—just tastes better. And if you get to know the folks who are cutting and selling your beef (and pork, and chicken, and sausage), chances are they know the farmer who raised the cattle—and chances are that beef is more humane and sustainable than anything you'll find in a nearby grocery store. 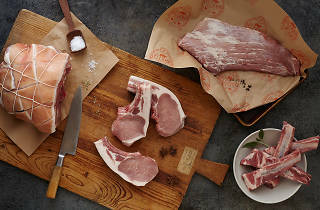 So treat yourself—stop at the wine shop, pick up some veggies at the farmers' market and get to know the folks at one of these top butcher shops—they'll know your order by heart in no time. 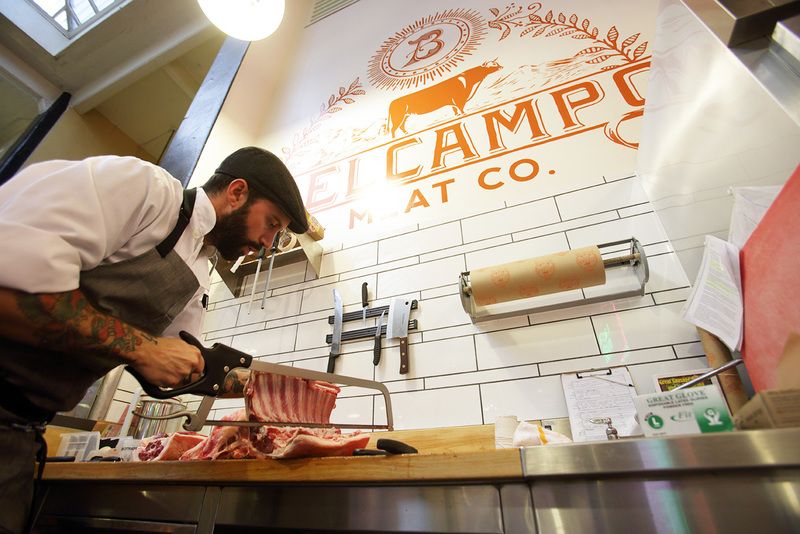 Photograph: Clay McLachlan, courtesy Belcampo Meat Co. 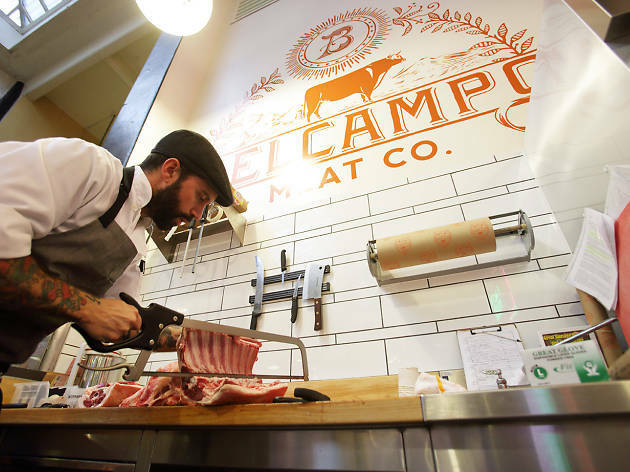 Serving as both a butcher shop and a burger joint, Belcampo Meat Co. offers customers a solid lunch spot to grab a burger, pulled pork sandwich, or maybe even pick up a pound of ground beef to bring home. The company prides itself on sustainable, organic meat, a practice that is readily apparent as soon as you bite into one of their famed cheeseburgers. They built their own processing facility to create a stress-free environment for their animals, and use traditional hand-cutting methods to craft the cuts of meat you'll find in both the shop and the restaurant. Curtis Stone has opened his highly anticipated sophomore project in LA after the success of his Beverly Hills restaurant, Maude. 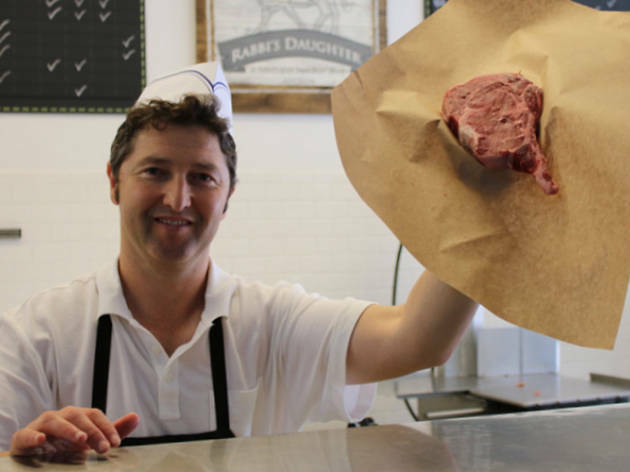 At Gwen, you're greeted with a butcher case as soon as you open the door, where you can buy coils of lamb sausage or hefty cuts of steak to take home. 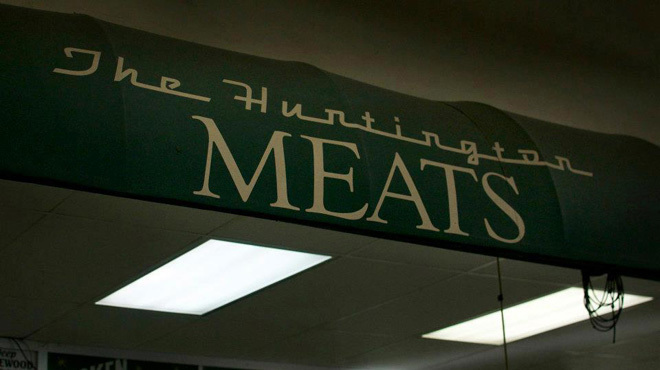 The staff here specializes in whole animal butchery. In addition to charcuterie, terrines, salami, prosciutto and more, look for gorgeous, marbled cuts of Australia's famed Blackmore Wagyu beef. But the folks at Gwen know that not everyone is a whiz when it comes to cooking their own meat, which is why the stunning restaurant next door is worth a visit all on its own. 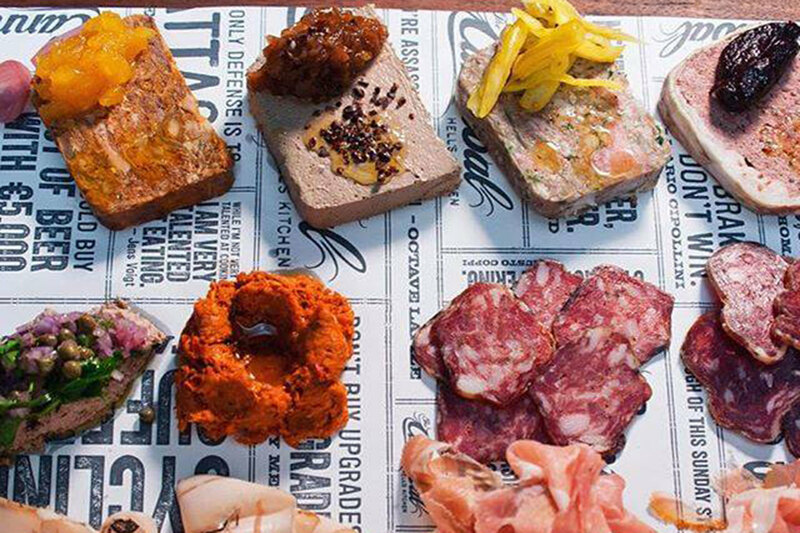 As both a meat-centric restaurant and a butcher/sandwich shop, the Cannibal LA meets all your protein needs, whether you're in the mood for a prosciutto-filled sandwich or a spring lamb with peas and fava beans. 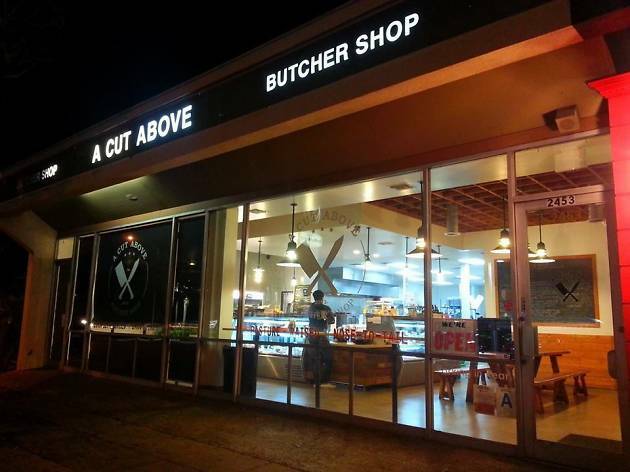 On one side, a butcher shop offers shelves filled with local goods and a meat case lined with beautiful cuts of beef, pork and chicken; a selection of cold and hot sandwiches is also available (we're partial to the Italian Combo). The restaurant sits next door, where you can fill up on plates of charcuterie, sausages, burgers and, yes, even the occasional vegetable. On top of devoting themselves to providing customers the "best of the best" in the meat and fish market, knowledgeable owners Nathan McCall and Karen Yoo (both of whom spent time in the kitchen at Daniel in New York City) also place high priority on sharing their love and passion for food with customers from all walks of life. As you're perusing perfectly portioned fresh fish and exquisitely marbled cuts of beef, don't be surprised if you spend half your visit in conversation with them about finding the perfect handmade sausages, Thanksgiving turkey or sashimi-grade tuna to suit your culinary needs. Owners Israel and Nomi Feuerstein opened this upscale kosher butcher shop after realizing that so many of their important family and holiday moments revolved around food—very special food. Rabbi's Daughter (Nomi really is one!) 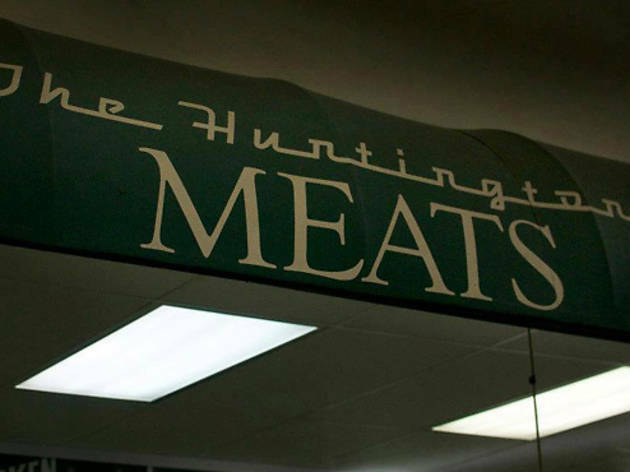 is a neighborhood staple, providing antibiotic and hormone-free beef and poultry, as well as grass-fed beef and organic poultry, plus extra special cuts of lamb and veal. In addition to raw meats, Rabbi's Daughter offers a menu of deli and hot sandwiches, side dishes, soups and signature lunch specials like shawarma and schnitzel. For those who care about kosher, Rabbi's Daughter is under the supervision and certifaction of Rabbi Dr. Yehuda Bukspan. Located in the Original Farmers Market, Dan Vance and Jim Cascone's butcher shop has been a neighborhood standby since 1986 (and was the place Nancy Silverton called on for her nearby and now-shuttered Short Order's burgers). Locals drop in for 21-day aged meat, sausages from traditional sweet Italian and Bratwurst to more exotic wild boar and alligator Andouille, beef jerky, stocks and housemade grilling sauces and marinades. 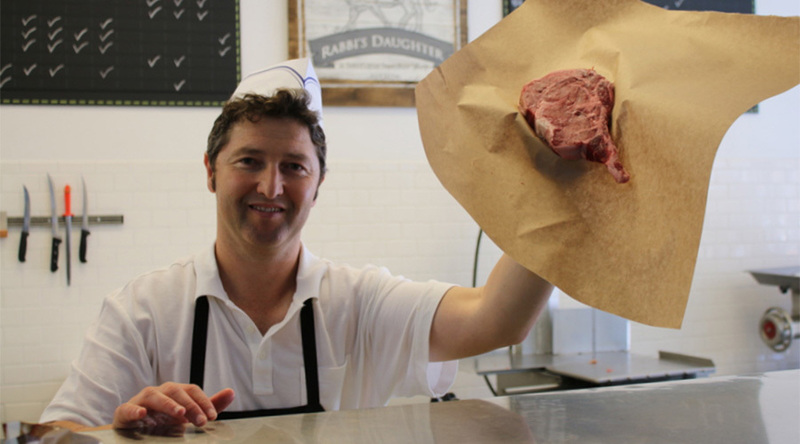 Carnivores and butcher wannabes can learn all about beef and sausage making in regularly scheduled, on-site classes. 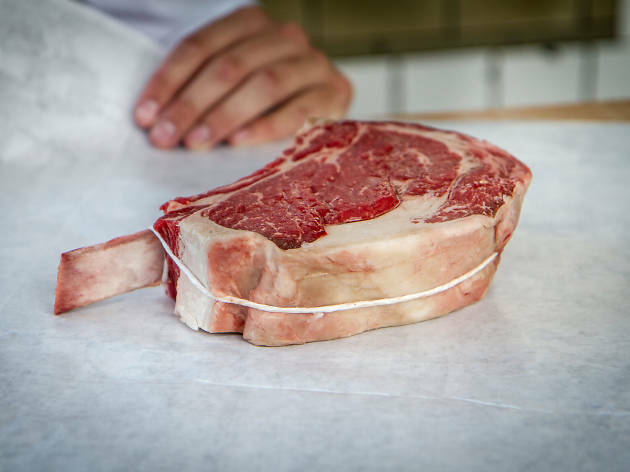 Owner and head butcher Eddie Shin earned his stripes at Nick and Stef's Steakhouse, and spent seven years with the Patina group under Joachim Splichal. 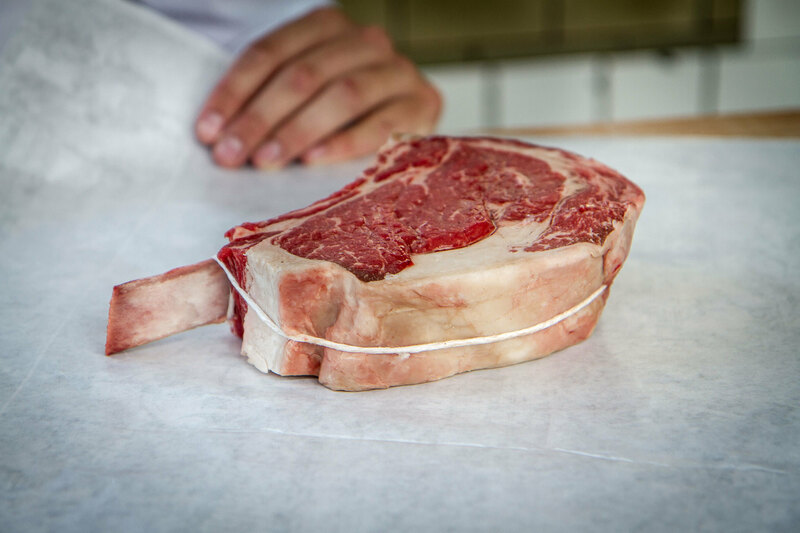 He was a self-taught chef and became a self-taught butcher as well, with expertise in dry-aging as well as his own shop, A Cut Above. 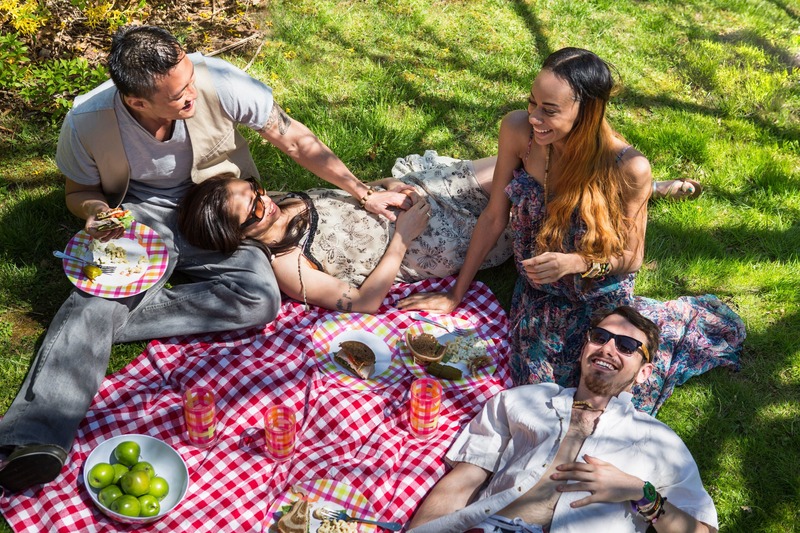 Here you'll find high-quality cuts of meat and pre-prepped grill packs (basically a party platter of raw sausages, ribs, chicken and more), in addition to a mouthwatering menu of sandwiches, hot plates and picnic food to-go. 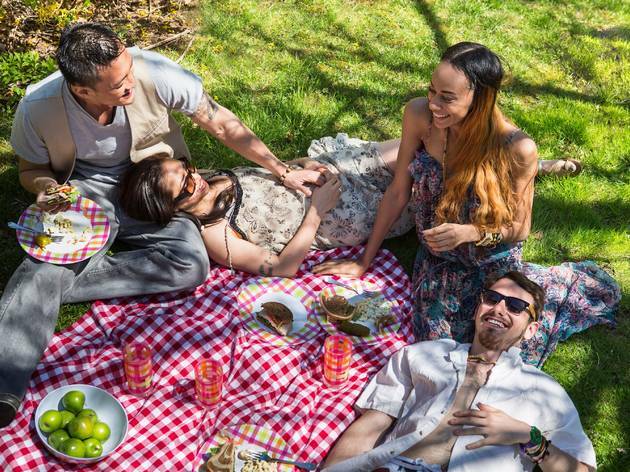 In the mood for a picnic? 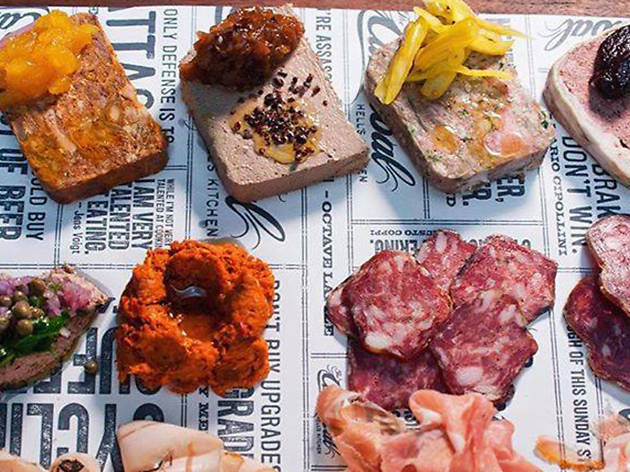 Grab some salami from the butcher, then head to these shops to round out your al fresco meal planning.